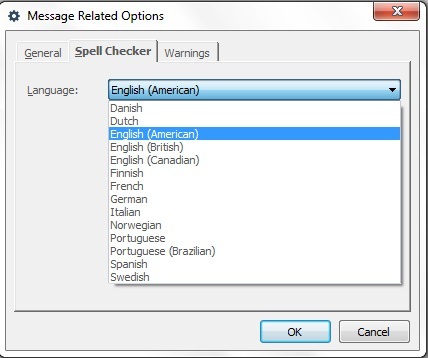 How can I Enable \ Disable the Spell Checker in GroupMail ? Within GroupMail, go to the Tools Menu, Message Related Options and click on the Spell Checker Tab. To Enable the Spell Check check on the Option “Check before Sending“. 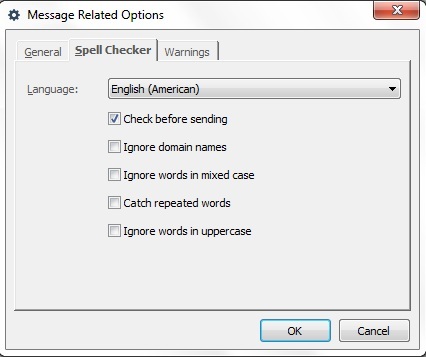 To Disable the Spell Check uncheck the Option “Check before Sending“. Note that you can select the Dictionary to use under the “Available Spell Checker Dictionaries” menu. 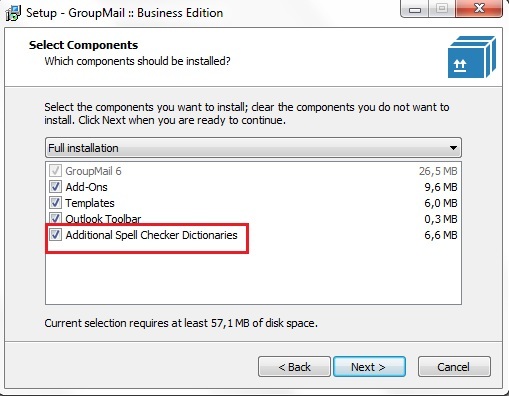 If no Dictionaries are listed here, you may need to re-install GroupMail ensuring to check on the Option ‘Additional Spell Checker Dictionaries’.